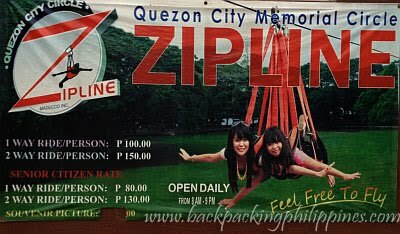 there are now at least three ziplines in QC, the first one is at the La Mesa Ecopark, then another one at Circulo Verde in Libis, Quezon City and now this new attraction at Quezon City Circle. For an online map of Quezon Memorial Circle, click here. For directions and information on how to get there, click the link about if below.